Who’s the Secret Buyer of Ukraine’s ‘Grom’ Tactical Ballistic Missile System? The Ukrainian press has reported that military engineers have made significant progress in the development of the Grom, a new tactical ballistic missile system, with R&D funding provided by a mysterious foreign buyer. Russian military experts comment on the system’s prospects, and ponder who the Ukrainians’ secret foreign partners might be. 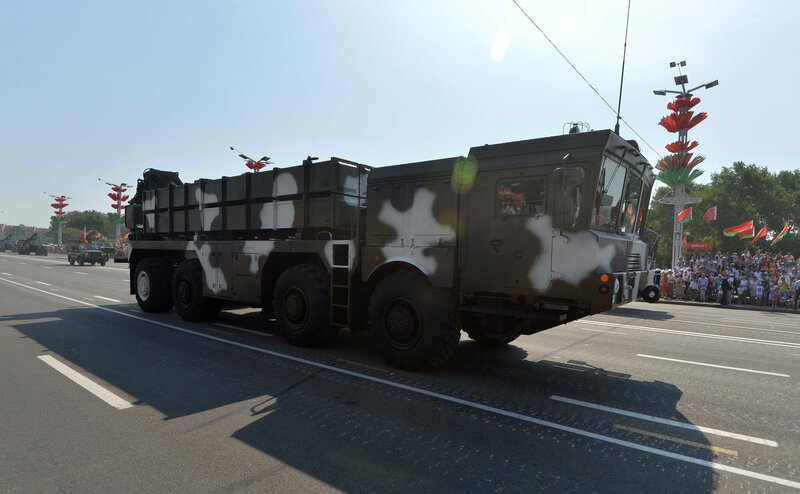 Last week, the local media in Ukraine’s Dnepropetrovsk region launched a tirade against authorities in Kiev for the latter’s supposed attempts to sabotage the creation of a new weapon, the Grom short-range ballistic missile (SRBM) system. If created, it would be a Ukrainian analog to the Russian 9K720 Iskander. According to Dnepropetrovsk’s MOST news agency, Kiev officials are ‘twisting the arms’ of the Yuzhnoye Design Bureau and the Pavlograd Chemical Plant, two enterprises involved in creating the weapon. Engineers speaking to the news agency explained that the Grom is being developed using money from a mysterious foreign client. Moreover, the system, presently in its third year of active development, will be prepared for testing as soon as this fall. Speaking to MOST, Pavlograd Chemical Plant general director Leonid Schiemann explained that after receiving private financing of about one billion hryvnia ($40 million), engineers have created the necessary manufacturing potential, restored laboratories, and engaged in the testing of the system’s components. As a result, they were able to create a prototype of the weapon. However, according to Evgeny Ustimenko, the plant’s technical director, the policy of a number of institutions of the government in Kiev not only shows an unwillingness to stimulate the production of modern weapons system, but gives the impression of a purposeful campaign to destroy the country’s leading defense enterprises. Work on the Grom complex was first announced at a defense exhibition in Kiev in 2014. A year later, it was announced that mass production of the weapon could begin as soon as 2018. 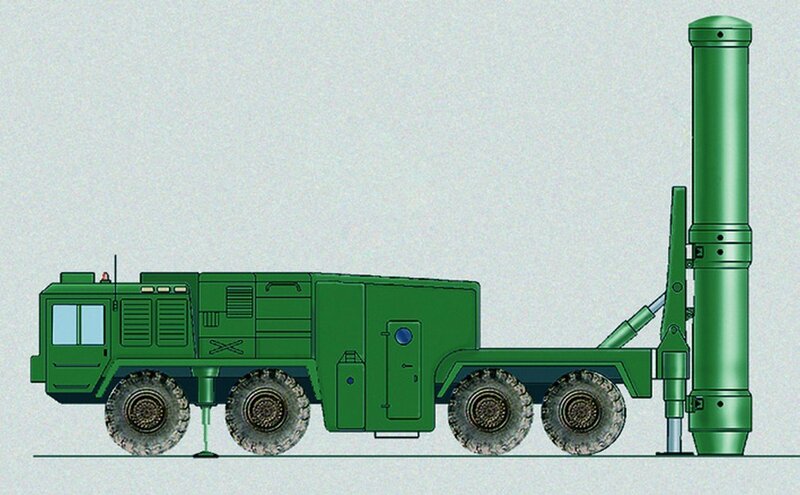 Expected to have a firing range of 280 km (and the possibility of upgrades to up to 500 km), the system would replace the aging Soviet-era Tochka-U systems currently used by the Ukrainian military. The complex is expected to use the prospective ‘Korshun’ cruise missile to destroy ground targets.The system’s designers have asserted that the complex would be able to defeat the most advanced missile defense systems, including the Russian S-300 and S-400 systems. 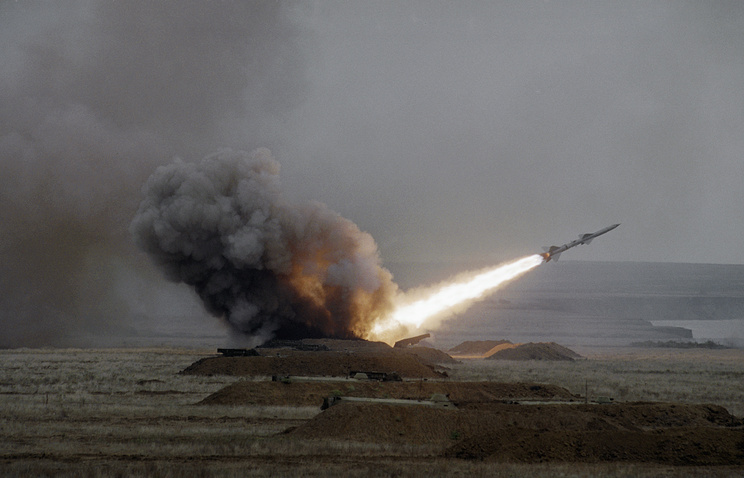 Like the Russian Iskander, Grom’s missiles are expected to use unpredictable flight trajectories. The Russian Iskander SRBM system being prepped for launch during military exercises. File photo. 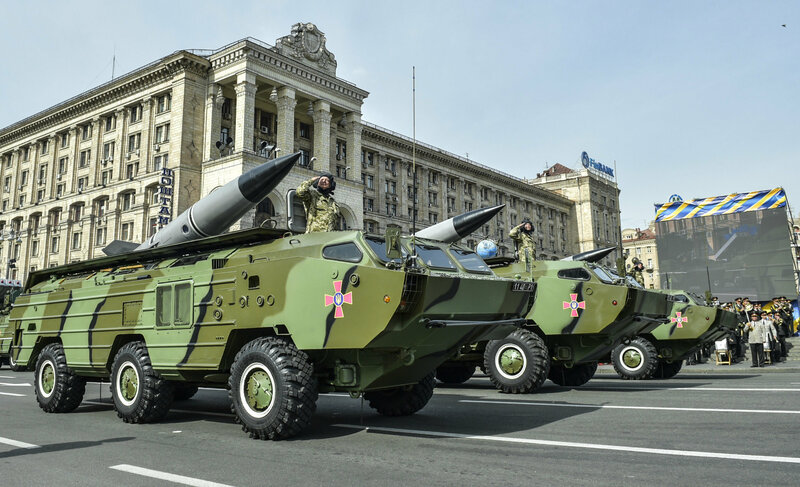 Moreover, according to Svobodnaya Pressa military observer Anton Mardasov, the system’s described 300 km range “is no more than a formal legal constraint associated with the Missile Technology Control Regime,” a multilateral export control convention to which Ukraine is a partner. Domestically, the journalist noted, Ukraine would not be subject to that agreement’s restrictions. 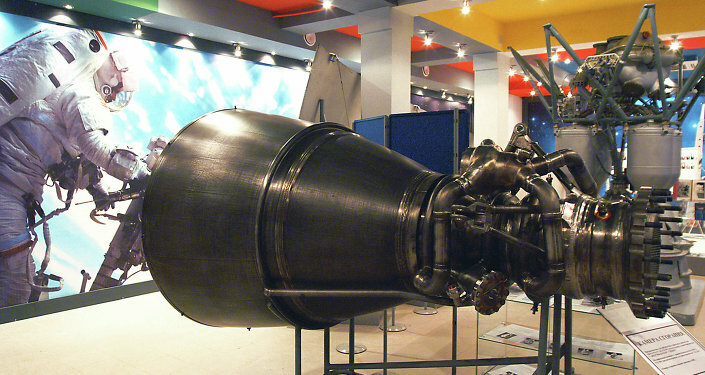 The Soviet-era 9K79 Tochka-U SRBM system, currently the mainstay of the Ukrainian army’s missile systems. For answers to these questions, Svobodnaya Pressa turned to several Russian experts, including Yuri Savelyev, a veteran rocket scientist and the former rector of the Baltic State Technical University. Still, the expert also suggested that he hasn’t seen any evidence of US involvement in the Grom project. In fact, he believes that it’s the German government that may be looking to use Ukrainian know-how to develop a new SRBM system. “Germany could be the sponsor…The German army is equipped only with the American MLRS M270. With the help of the Yuzhnoye and Yuzhmash design bureaus, the Germans would be able receive designs both for short-range ballistic missile systems, and, in the future, for long-range systems as well,” Savelyev noted. 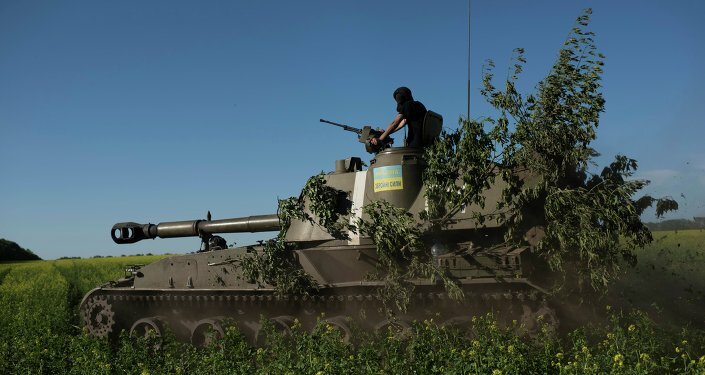 For his part, Alexander Khramchikhin, deputy director of the Moscow-based Institute of Political & Military Analysis, suggested the mysterious foreign customers could be countries like Pakistan or North Korea, and possibly even Belarus.”According to some reports, representatives of Ukraine’s Luch design bureau participated in the Sino-Belarusian project on the Polonez MLRS, recently successfully tested by Minsk,” Khramchikhin said. Polonez MRLS at the Belarusian Independence Day parade in Minsk. However, Andrei Frolov, the editor-in-chief of Arms Export magazine, said he was very doubtful about Grom’s prospects, pointing to a long list of failed projects previously announced by Ukrainian authorities, and Ukrainian designers’ habit of putting a new label on old systems. With regard to the possible foreign sponsors, Frolov suggested that these could be Saudi Arabia or the United Arab Emirates.